SS10 of the 2018 Dakar Rally will be remembered as one of the most demanding rally stages in recent history. Taking competitors from Salta to Belén, Tuesday's stage included some very tricky navigation in dry and dusty terrain. Following a well-calculated plan, Adrien van Beveren was enjoying a mistake-free performance, making up more than half an hour on some of his main rivals. 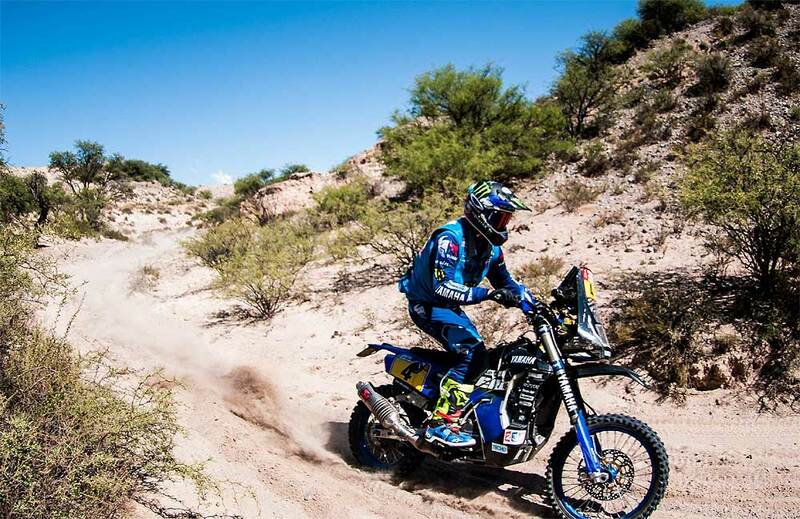 Frustratingly, a crash less than five kilometers before the end of the timed special resulted in the Frenchman being forced to abandon the 2018 Dakar Rally. Now under close supervision in the Belén hospital, more info on the extent of Adrien's injuries will be released shortly. Making use of his experience, Adrien's teammate Rodney Faggotter brought his WR450F Rally home in 13th position. Making up some of the time the Australian lost during the last couple of stages, Rodney is now 20th in the provisional overall standings of the rally. "What a day this has been," said Fagotter. "We knew the stage would include some really tricky navigation so from my side I just did the best I could to stay fast and avoid mistakes. These warm temperature might be more to my liking, but the tracks today were dusty and tough. I am happy that this stage is over and I managed to climb a few spots in the overall, but obviously we are all disappointed with Adrien being forced to abandon the race. He had a great run so far and I hope he is back racing with us soon. As for me, I am in good shape right now and I will do my best to take my Yamaha to the finish of this event in Cordóba." 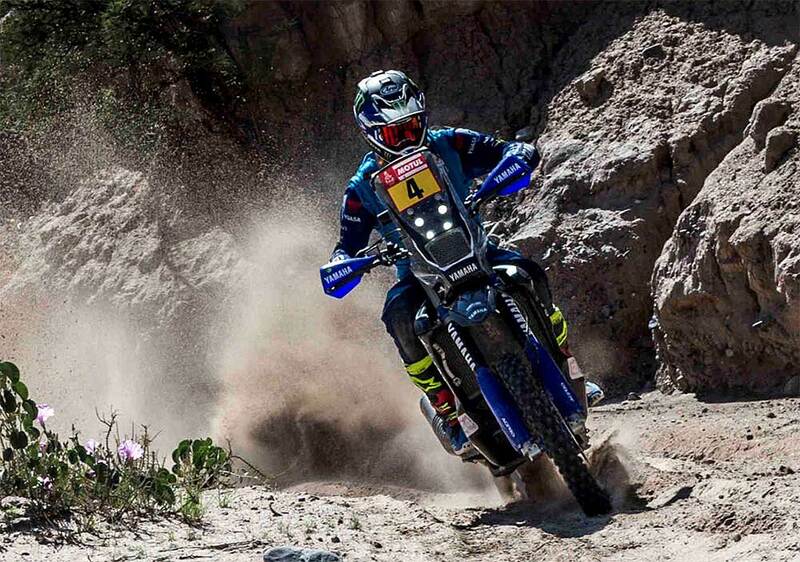 Yamaha powered Ignacio Casale continues to dominate the overall standings in the Quad class of the 2018 Dakar Rally. Securing a 3rd place result in SS10, the Chilean is currently leading the overall standings by a massive one-hour and 41 minutes. "Tuesday we went from absolute joy to an incredible low," said Alexandre Kowalski - Yamalube Yamaha Team Director. "Adrien was perfectly following the plan that we have set together with our sports manager Jordi Arcarons and he was having a great stage. He lost some time in the morning but kept improving as the race went on. He was among the first riders to find the right track in the river where most of the leaders got lost, and together with the eventual stage winner Walkner they were 49 minutes ahead of the rest of the pack." He continued: "The crash took place less than five kilometers before the finish. This has been an epic journey for Adrien so far and we were all behind him in his efforts. We had a dream race so far and the spirit within the team was great. Unfortunately, the Dakar is such a tough event that all can change in just a few seconds. Following the first medical checks at the hospital, it seems that Adrien has suffered a broken collarbone. He will remain under close supervision and wednesday we will have more solid info. The race goes on for us and we are all behind Rod in his road towards the finish of this extremely challenging event."